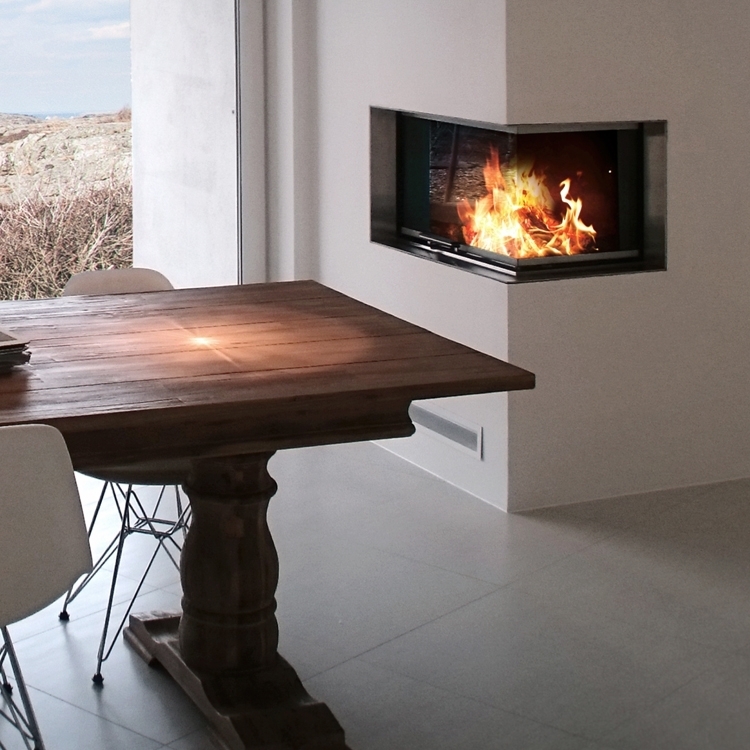 Kernow Fires are suppliers of the Contura i51 in Cornwall. This beautifully modern inset woodburner has a three sided glass vertically raising door. 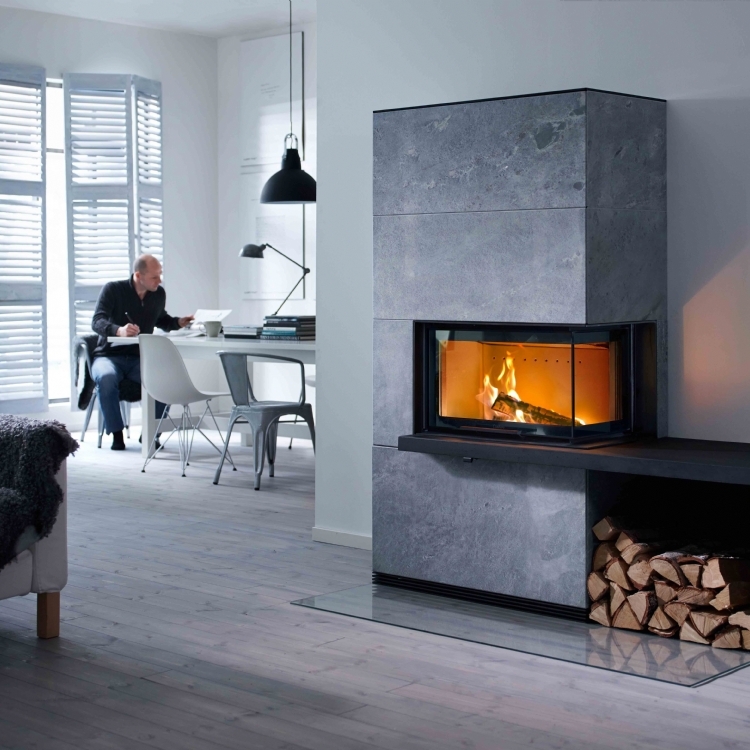 Steel cladding create a ultra-modern sleek fire breast available in black or white. Optional additional storage units for wood and accessories are also available.